This is the fourth in a series of blog posts that will teach you how to confidently brew exceptional coffee at home. If you have been following the last few blog posts, you should be well on your way to brewing great coffee in your kitchen or office. You may have already improved your quality significantly, so lets delve deeper and see what else we can do to get the most out of our brew. There are numbers involved in every part of life, and coffee should be no exception. With coffee brewing we are always thinking about things like water to coffee ratio, temperature of water, and contact time. All of these add up to a great experience, or a tasteless disappointment. Let’s get down to the nitty-gritty and make the numbers work for us. There are lots of instructions out there intended as guides to help you measure out the coffee for your brewer. These are usually measured in tablespoons per cup of water, and are relatively accurate for most coffee drinkers. If you have made it this far into the blog, you are not like most coffee drinkers, so you will want a scale that can measure in grams, or 1/10th grams. Why? I’m so glad you asked. Different beans and different roasts have different densities. One tablespoon of a light roast can weigh 10 grams, while one tablespoon of a French roast will weigh as little as 7. That is a 30% difference! The only way to account for the many (many) variables that make up a coffee’s weight is to use a digital scale. Use a scale, and watch your quality improve instantly. Water is a little bit different. Although water changes from one location to another (mineral density, contaminants, etc.) it is relatively the same across the board. 1ml of water = 1 gram. Once you figure out how many grams of coffee you want to brew, you can measure the water in grams and be almost perfectly accurate. Water temperature is another big factor in the brewing process. Many home coffee makers do not get the water hot enough to properly extract all of the flavor out of the coffee. We use water that is dispensed from a heater at 205º. The easiest way to assure that you are getting the full flavor you deserve is to check your water temperature. 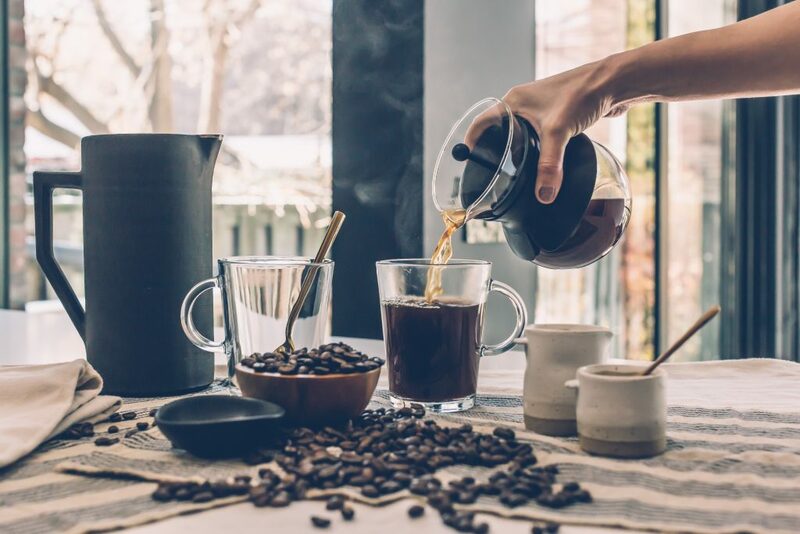 If it does not come out within a few degrees of the 205 mark, then it is time to either adjust (if your coffee maker allows) or search out a new brewing method. Many home baristas will boil water in a special pouring kettle and begin the brew a few moments off the boil to ensure they are in the proper temp zone. The final hurdle for this post is the amount of time that the coffee and water are in contact with each other. The longer the water interacts with the coffee the more particles are extracted, both good and bad. If the contact time is too long the coffee can extract lots of bitter tastes and ‘tannins’ that contribute to a poor quality cup. To short of a contact time, and the cup can be unbalanced or too sharp. Most people recommend between 3-4 minutes of contact time for a 12 fl oz cup of coffee. Although this is usually reserved for manual pour-over style brews, you can at least get an idea of how the contact time may be affecting your automatic brewer.